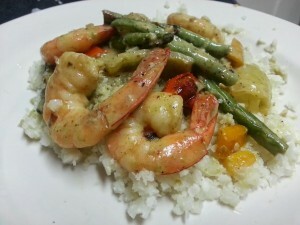 Ignore the poor plating, please. I assure you, it was delicious. 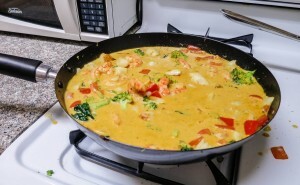 After much success with a low carb shrimp curry version of this recipe, for Valentine’s day I got a little more ‘wild’ and did a full on low carb seafood curry version (which I liked even more than the low carb shrimp curry – same recipe as the shrimp but with twice the veggies, coconut milk, and additional seafood). 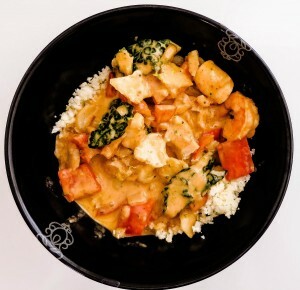 A Whole30 compliant, low carb, gluten free AND paleo friendly curry? Win, Win Win! The only ‘non’ win in my dishwasher-less eyes is that it takes two pans to cook. I used my new wok (only $9!! 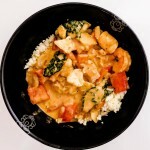 Review coming soon) for the overall curry cooking, and a side pan to cook the scallops and fish. If you have a dishwasher, I envy you. GIVE ME YOUR DISHWASHER. 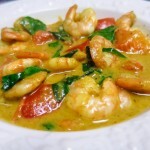 An easy low carb seafood curry that is also Whole30 compliant, gluten free and paleo friendly. 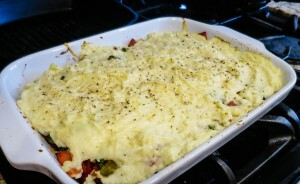 I ate this for Saturday and Sunday as well, and it was just as delicious two days later. 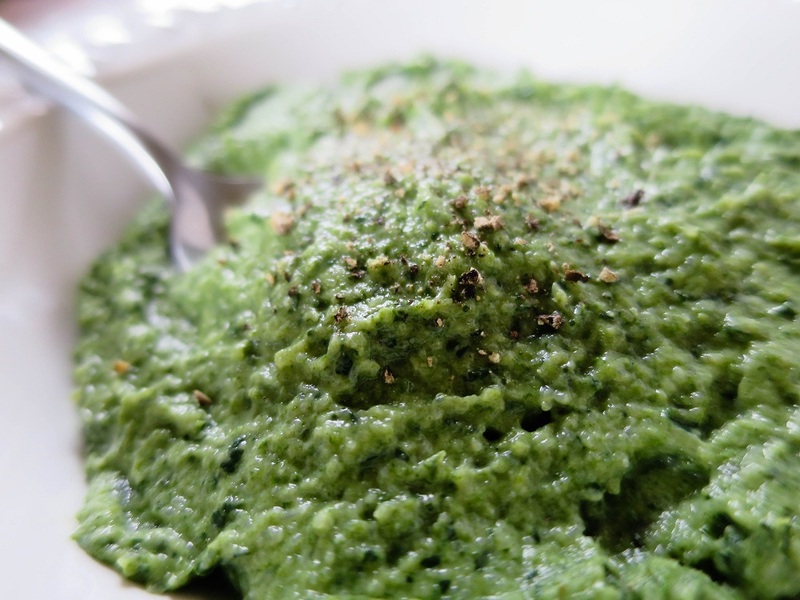 Makes at least six hearty servings. 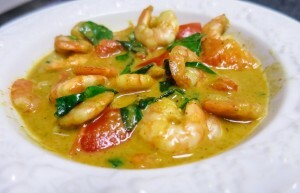 Close up of the shrimp curry – yummy, but I liked the seafood curry even more. 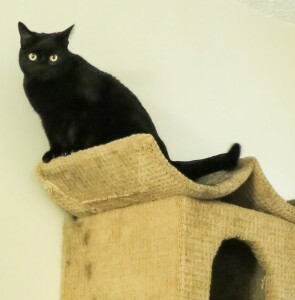 Tub Tub – King of the Cat Tree. When did my cat turn into a vulture!? 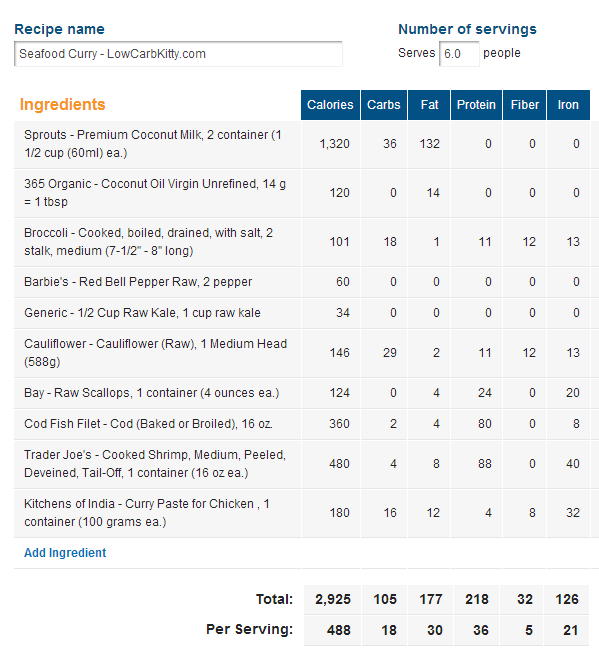 13 net carbs per serving.